We offer spacious camping pitches for tent , caravan and camper , and comfortable rental accommodation for up to 8 people! With friends or family, choose the stay that suits you. 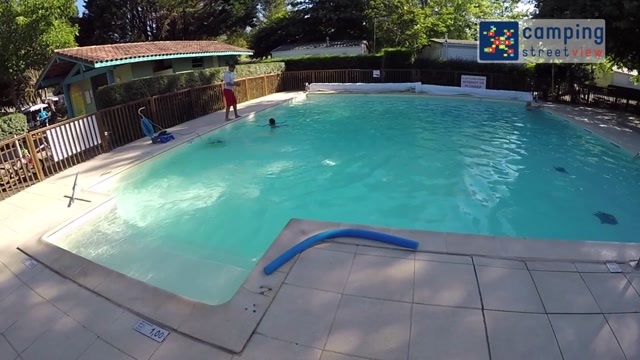 It offers many services for a stress free vacation : Snack , bar, barbecue , laundry, Wifi ... Young and old will enjoy the many activities and events offered by the camping and area! Enjoy your vacation to discover the Basque and Landes coast and visit the Aquitaine region. Arrivée à partir de 14h - Départ avant 12h. Hébergement atypique de 9m² sur pilotis. This wooden accommodation for 4 people and a good compromise between the tent and the mobile home. It consists of a bedroom with a double bed and a bedroom with two single beds (pillows and blankets). For added comfort, it is equipped with bathroom, kitchenette with fridge TOP, gas hob, microwave, coffee maker, toaster and a terrace. 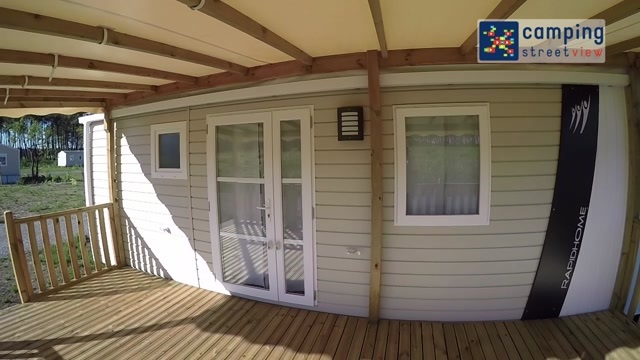 New mobile home with terrace and garden furniture. This modern design accommodation consists of a master bedroom with private bathroom (table / iron and vacuum cleaner), a bedroom with two beds 1 person, a bathroom with hairdryer and separate toilet, on the equipped kitchen (dishwasher, fridge-freezer, gas hob, microwave, coffee maker, toaster, dishes ...) and a lounge / dining room with sofa, TV and air conditioning. New mobile home with terrace and garden furniture. This modern design accommodation consists of a bedroom with a bed 2 people, private bathroom, iron / ironing board, a room with two beds 1 person, a bedroom with two bunk beds 1 person, a bathroom with hairdryer and separate toilet, a kitchen (dishwasher, fridge-freezer, gas hob, microwave, coffee maker, toaster, dishes ...) and a lounge / dining room with sofa, TV and air conditioning. Necesitas coche para moverte a todas partes. Tranquilidad en septiembre, buena acogida, instalaciones cuidadas. Buenas instalaciones, bastante nuevo y cuidadas.